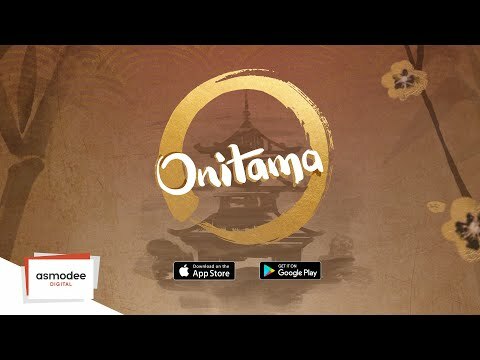 Immerse yourself in an ancient Japanese setting and discover Onitama, an exciting, fast-paced strategy game! Onitama is somewhat reminiscent of chess and rather addictive with its dynamic game mechanic in which warriors face off so their master may win the game. Concentration and luck are the only weapons you'll have at your disposal! You'll need to fully master mind and body to defeat your opponents. Every opponent has four warriors and one elder at their disposal. The objective is simple: win the battle. To do so, you must either capture your opponent's elder or take their place in the temple arch. The game is easy to play, but you'll need time to become a true master. Although, not really... Onitama is the ideal strategy game for exercising your mind, as you'll have to think ahead about moves! The moves you're allowed to make are determined by five cards which are drawn at random, shown face-up, and shared between players. Each card corresponds to an animal and sets out a specific move that you have to follow. When you play a card, you must place it between you and your opponent and pick up the previously played card, and so on. This way, both players have the exact same chance of winning the game. The key to success in this simple, elegant type of combat is to stay calm and concentrate. The Shrine of Onitama is a sacred ground where foresight is necessary. Animal spirits will guide you on the perilous path and allow you to gain true wisdom. In short, it's an elegant and simple game that captures the essence of martial arts. The game design and calligraphy will make your gaming experience a unique and unforgettable one. Play against the computer on your own, or against your friends. Fight duels on the same device using pass and play mode. Bored of beating your friends? Connect your Asmodee account and face the best players in the world online! You can also customize your game with new boards, pieces, and music, or get a pack of 16 additional cards by purchasing extensions.